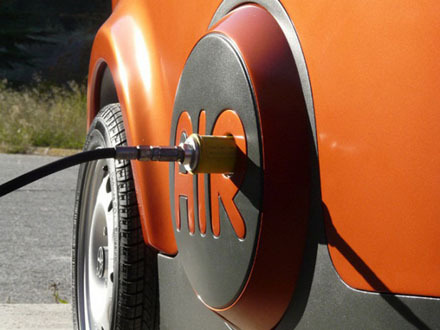 ● Refueling could be done at home using an air compressor or at service stations. The energy required for compressing air is produced at large centralized plants, making it less costly and more effective to manage carbon emissions than from individual vehicles. However, compressors for 250-300 bars are not normally available for home standard utilization, considering the danger inheritant to these pressure levels. ● Compressed air engines reduce the cost of vehicle production, because there is no need to build a cooling system, spark plugs, starter motor, or mufflers. ● The rate of self-discharge is very low opposed to batteries that deplete their charge slowly over time. Therefore, the vehicle may be left unused for longer periods of time than electric cars. ● Expansion of the compressed air lowers its temperature; this may be exploited for use as air conditioning. ● Some mechanical configurations may allow energy recovery during braking by compressing and storing air. ● Sweden’s Lund University reports that buses could see an improvement in fuel efficiency of up to 60 percent using an air-hybrid system But this only refers to hybrid air concepts (due to recuperation of energy during braking), not compressed air-only vehicles. The principal disadvantage is the indirect use of energy. Energy is used to compress air, which - in turn - provides the energy to run the motor. Any conversion of energy between forms results in loss. For conventional combustion motor cars, the energy is lost when chemical energy in fossil fuels is converted to mechanical energy, most of which goes to waste as lost heat. 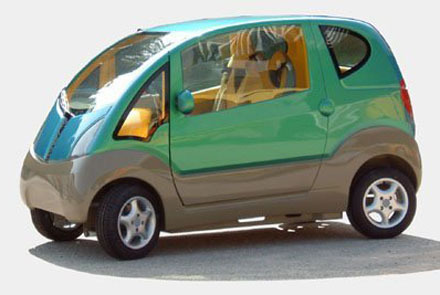 For compressed-air cars, energy is lost when chemical energy is converted to electrical energy (if electricity is produced from chemical sources), when electrical energy is converted to compressed air, and when the compressed air is converted into mechanical energy. ● This also leads to the necessity of completely dehydrating the compressed air. If any humidity subsists in the compressed air, the engine will stop due to inner icing. Removing the humidity completely requires even additional energy that cannot be reused and is lost. ● Conversely, when air is compressed to fill the tank, its temperature increases up. If the stored air is not cooled while the tank is being filled, then when the air cools off later, its pressure decreases and the available energy decreases.To mitigate this, the tank may be equipped with an internal heat-exchanger in order to cool the air quickly and efficiently while charging. Alternatively, a spring may be used to store work from the air as it is inserted in the tank, thus maintaining a low pressure difference between the tank and recharger, which results in a lower temperature raise for the transferred air. ● Refueling the compressed air container using a home or low-end conventional air compressor may take as long as 4 hours, though specialized equipment at service stations may fill the tanks in only 3 minutes. To store 14.3 kWh @300 bar in 300 liter reservoirs (90 m3 of air @ 1 bar), requires about 30 kWh of compressor energy (with a single-stage adiabatic compressor), or approx. 21 kWh with an industrial standard multistage unit. That means a compressor power of 360 kW is needed to fill the reservoirs in 5 minutes from a single stage unit, or 250 kW for a multistage one. However, intercooling and isothermal compression is far more efficient and more practical than adiabatic compression, if sufficiently large heat exchangers are fitted. 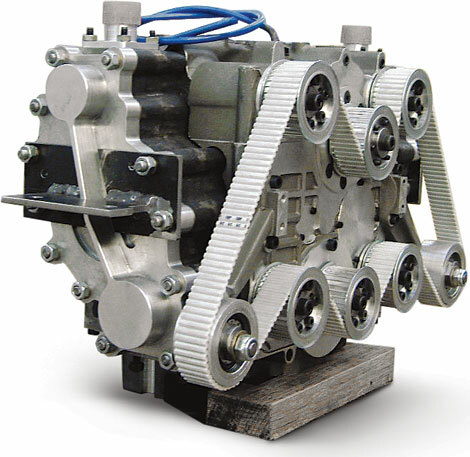 Efficiencies of up to 65% might perhaps be achieved, (whereas current efficiency for large industrial compressors is max. 50 %) however this is lower than the Coulomb's efficiency with lead acid batteries. ● Early tests have demonstrated the limited storage capacity of the tanks; the only published test of a vehicle running on compressed air alone was limited to a range of 7.22 km. ● A 2005 study demonstrated that cars running on lithium-ion batteries out-perform both compressed air and fuel cell vehicles more than threefold at the same speeds. 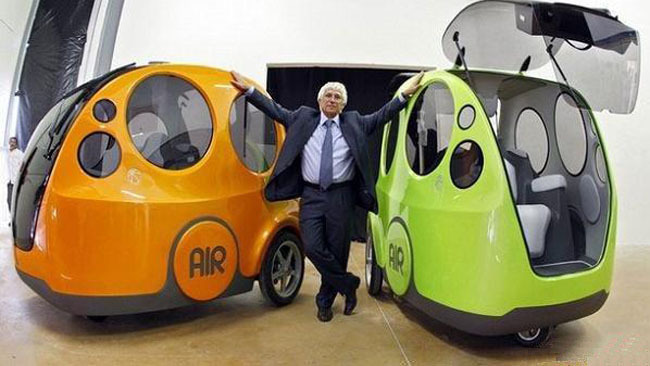 MDI claimed in 2007 that an air car will be able to travel 140 km in urban driving, and have a range of 80 km with a top speed of 110 km/h (68 mph) on highways, when operating on compressed air alone, but in as late as mid 2011, MDI has still not produced any proof to that effect. 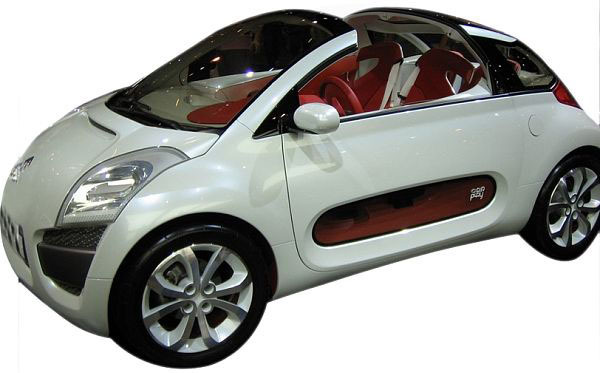 ● A 2009 University of Berkeley Research Letter found that "Even under highly optimistic assumptions the compressed-air car is significantly less efficient than a battery electric vehicle and produces more greenhouse gas emissions than a conventional gas-powered car with a coal intensive power mix." However, they also suggested, "a pneumatic–combustion hybrid is technologically feasible, inexpensive and could eventually compete with hybrid electric vehicles."